An incredibly smooth red ale that's been handed down from generation to generation is now ours to share. Rod's Red pairs the finest malted barley with hand selected hops to bring you our family's best kept secret. Is it the hair? The good looks? Family history? Nah, it's the beer! Let this devilishly handsome Canadian Cream Ale elbow it's way into your life today. With its incredibly smooth drinkability and straw colour, It's the perfect beer to celebrate our nation's 150th birthday. "We've had one yes, but what about a second breakfast oatmeal stout?" Don't worry friend - we've got your pre elevensies treat covered! Perfect for a hike through the mountains or on a bench in the shire. Treat your wizard friend to the one stout to rule them all. If you've ever been to Cumberland County then you've probably heard whispers of a Sasquatch like beast roaming the forests of Athol. We brewed this recipe up while hiking through the area as we came across grapefruit peels and coriander seeds in a clearing - surely that of the White Ogre's lunch! Enjoy with spicy tacos, hot sausages, or wandering explorers. Rolling Hills, crashing waves, and Craft Beer galore: This Scotian Pale Ale is as Scotian as the come! Expect moderate bitterness thanks to our local Cascade Hops and a slight malty flavour. 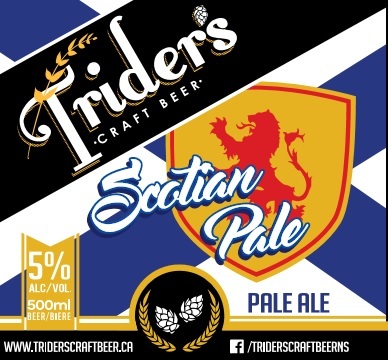 Our take on an English Pale Ale pairs well with Donairs, Fish and Chips, and Hodge Podge. Now grab your bagpipes and kilt, and enjoy one of Nova Scotia's hidden gems. Mr Rolfe's #1 recommendation! It's no secret that Maccan and surrounding areas have some of the world's best maple syrup. We've tapped trees in our own backyard for this sweet dessert beer. We used sap instead of water during the brewing process before finishing with locally produced maple syrup - Yum! This sugar sweet beer goes well after a meal or on it's own as a treat. Just in case you were looking for another blueberry beer, we've got your back! Brewed with 100% Amherst Blueberries and no extracts or added sugars, our Blue Me Away! Blueberry Ale has a beautiful blue tint and a pleasant berry aroma. With a more than subtle blueberry flavour, our beer is free from perfumes and tastes as it should, like beer. Enjoy while available! Harvest moon has come to pass, crush the barley, mix the mash. In the cauldron, boil and bubble, pumpkin smash with hops of fuggle. Witch's wort with added spice, a splash of yeast to give it life! We present to you this sacred gourd, Pumpkin Ale-Ixir, freshly poured! Hand roasted pumpkins with just the right amount of brown sugar; you'll find no canned purees here. Our traditional pumpkin ale uses only this year's harvest and a secret blend of fresh organic spices. Cheers to Samhain!